It’s been a while since I had a Lynn to show you so here we go. 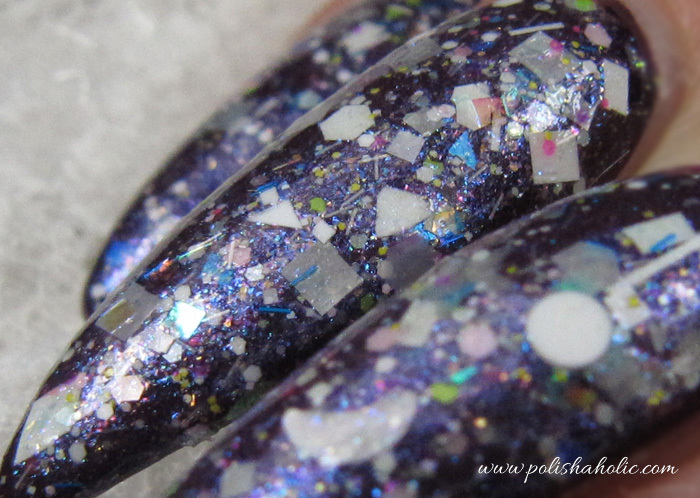 This is Snow Moon and it was the first polish released from the Light Year collection. Lynnderella has come up with another way to release a collection. 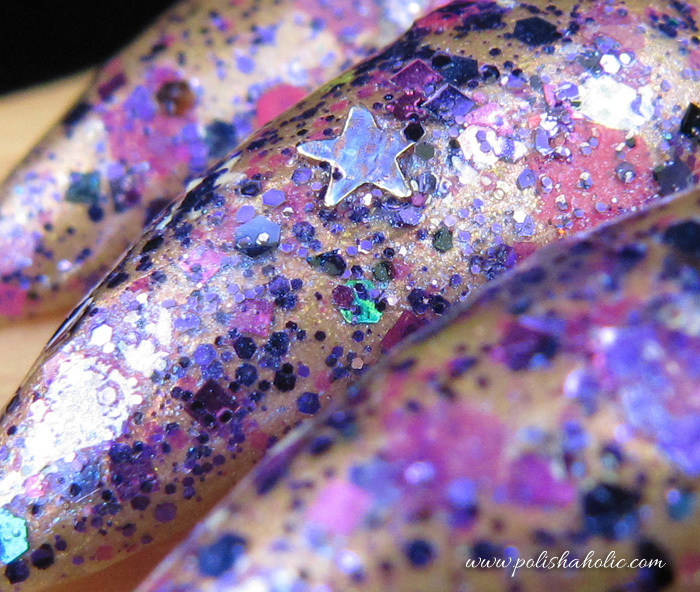 Light Year collection polishes will be released one at a time along the year 2014. I like this idea a lot! 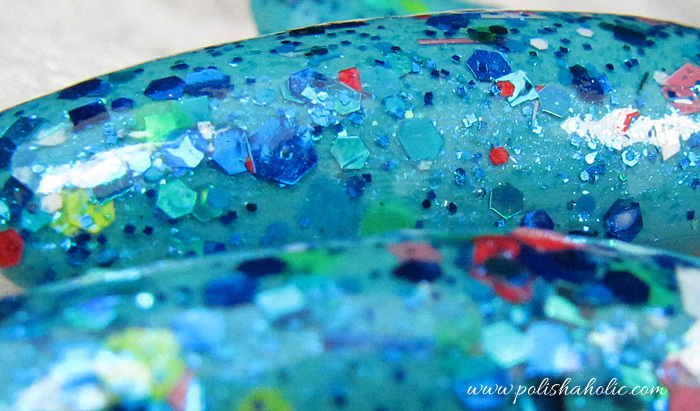 You can pick them polishes one at a time and collect the whole collection. So Snow Moon was the first one to be released and it’s absolutely gorgeous. 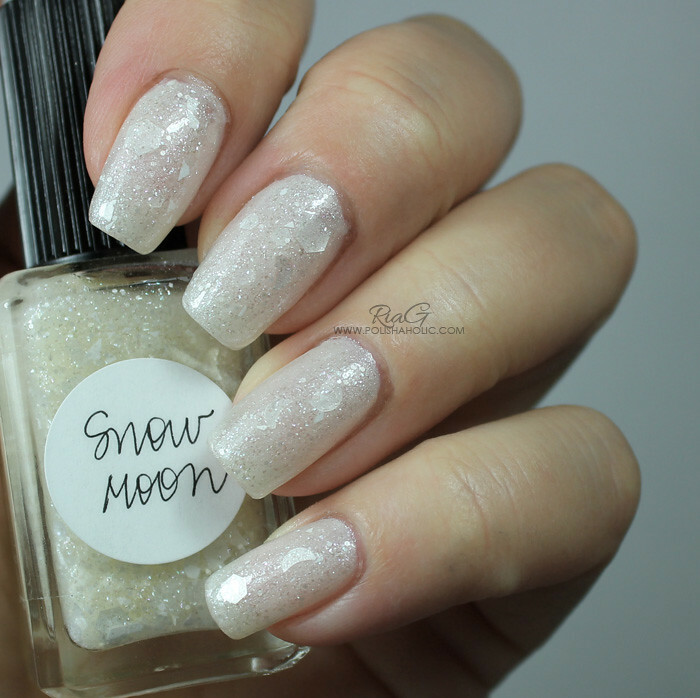 “Snow Moon has white microglitter, translucent white moons and hexagons in a clear white-sparked base”. Formula on this was excellent and it applies thin and smooth. I decided to layer it on a white shimmer cos I love white on white combinations but you can use this with any color you want. This polish is like fresh powder snow and it’s also sheer enough to allow the base color to show through beautifully if you use other color than white. On this manicure I used two coats of Wet n Wild Break The Ice (white shimmer), two coats of Lynnnderella Snow Moon and HK Girl top coat. ***Snow Moon was received for free. I don’t benefit from clicking any of the links on this post or use of the discount code. Greetings from the house of coughing and snotty noses. My kids have been sick for a few days now and there doesn’t seem to be an end to this right now. Hubby is also getting sick and I myself will probably catch this sooner or later. Anyways I’m getting this post up for you even if it’s the last thing I do LOL this is Lynnderella Mr. 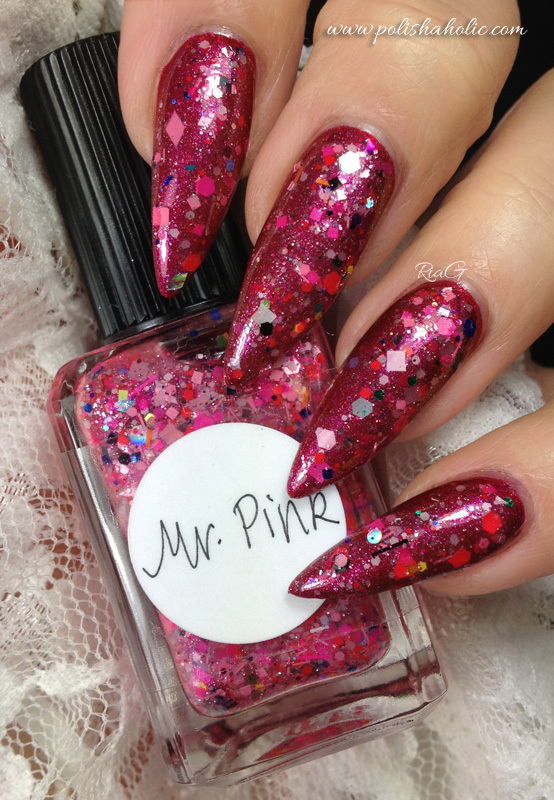 Pink from the “Once Upon a Prince and More Man Candy” collection. Here’s how it’s described on the Lynnderella website “Mr. Pink contains assorted pinks of all sizes, shapes, finishes and attitudes. 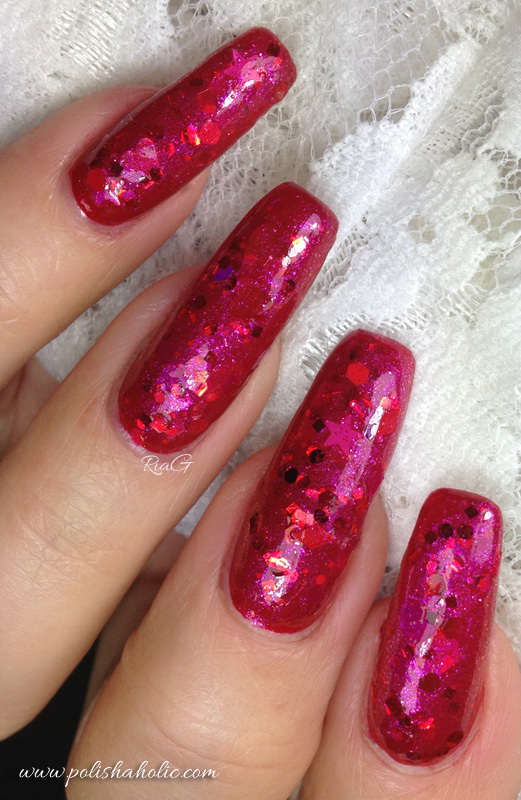 Multiglitter accents in a warm pink shimmered clear base”. This is two coats of A England Rose Bower, one generous coat of Mr. 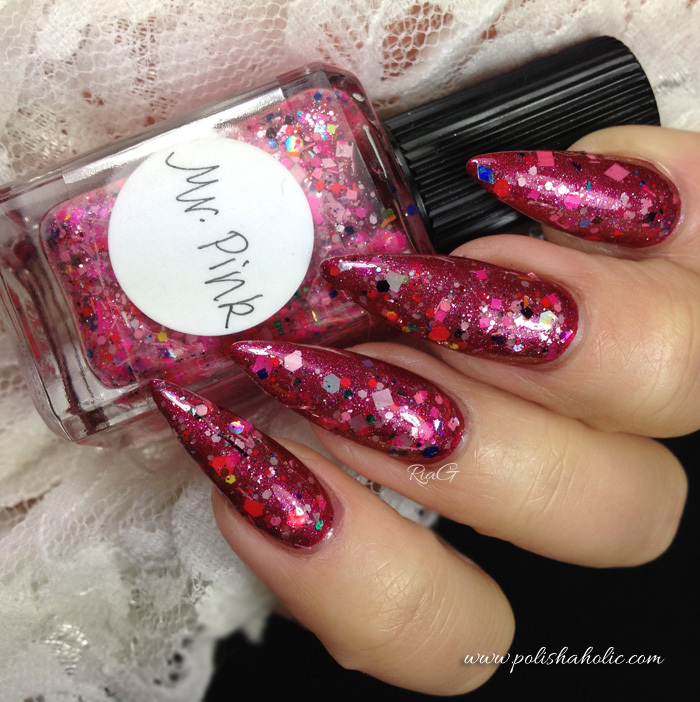 Pink and G & G HK Girl top coat. Application was once again perfect and very smooth. 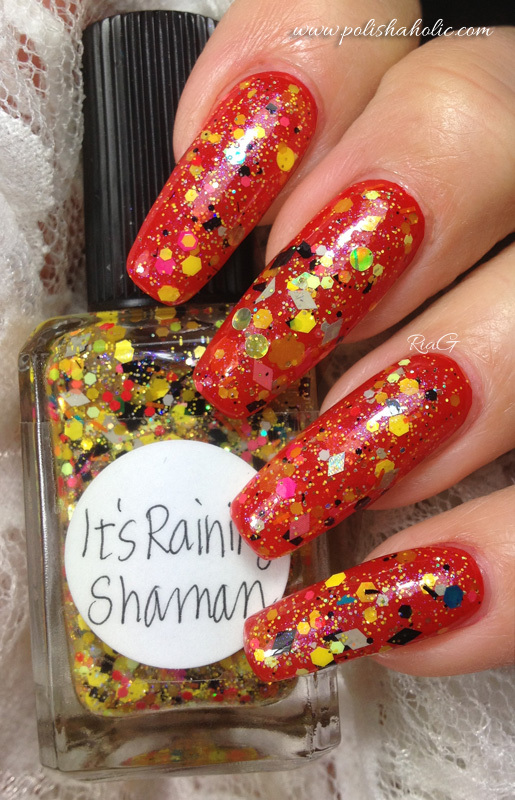 I love how this polish has a few colorful glitter pieces here and there. Not too many but just enough to make it look alive and have a little color pop details. ***Mr. Pink was sent for review, other products purchased by me. I do not benefit from clicking the links on this post or use of the discount code. 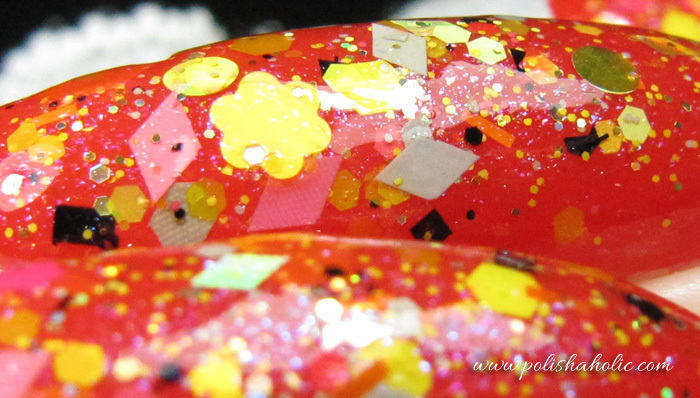 Today I have a polish from the new Lynnderella “Once Upon a Prince and More Man Candy” collection. 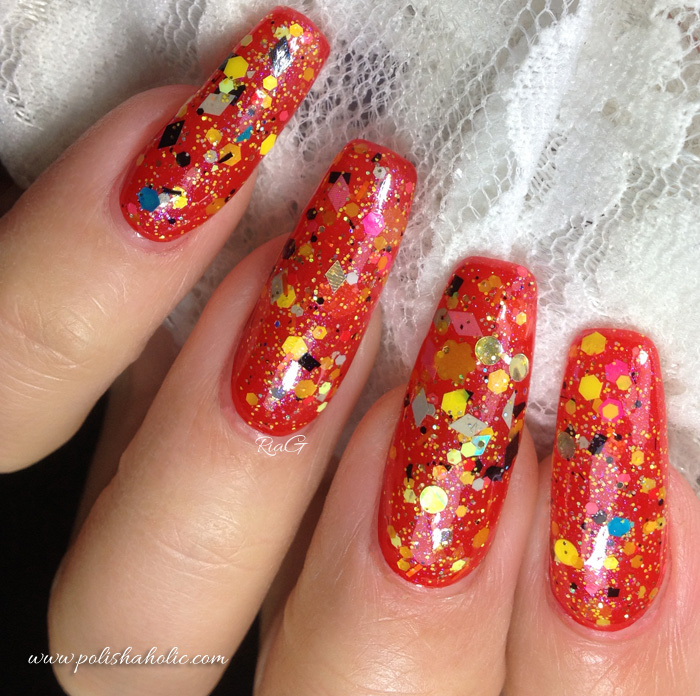 This is Tidy Whities and here’s Lynnderella’s description this polish “a mixture of opaque and translucent whites with assorted tiny pastel and iridescent glitters. 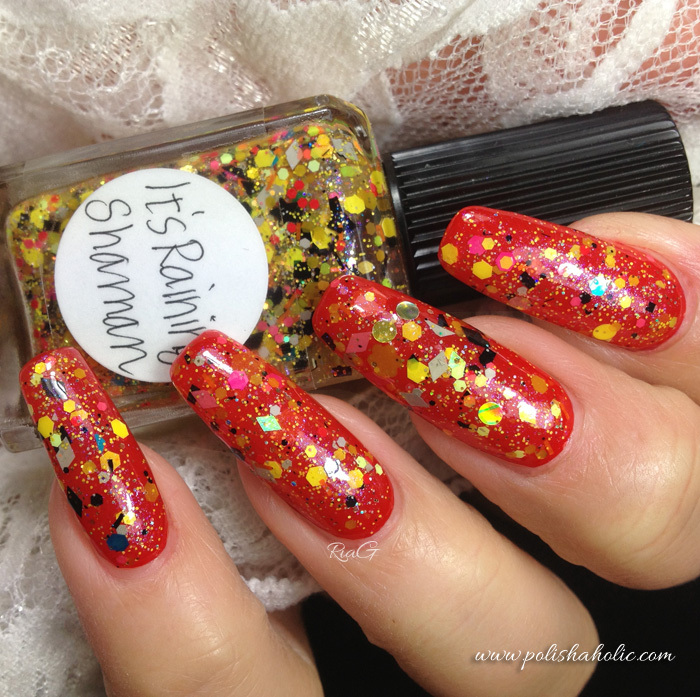 Multishimmer in a clear base”. 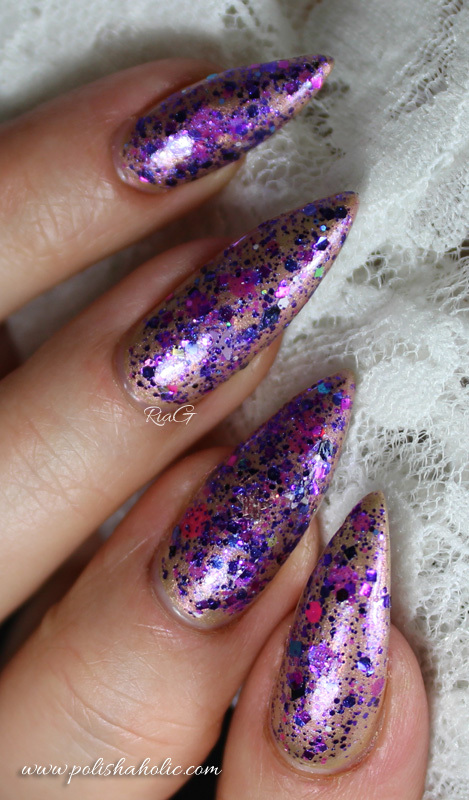 This is two coats of IsaDora Purple Reign, two coats of Tidy Whities and G & G HK Girl top coat. 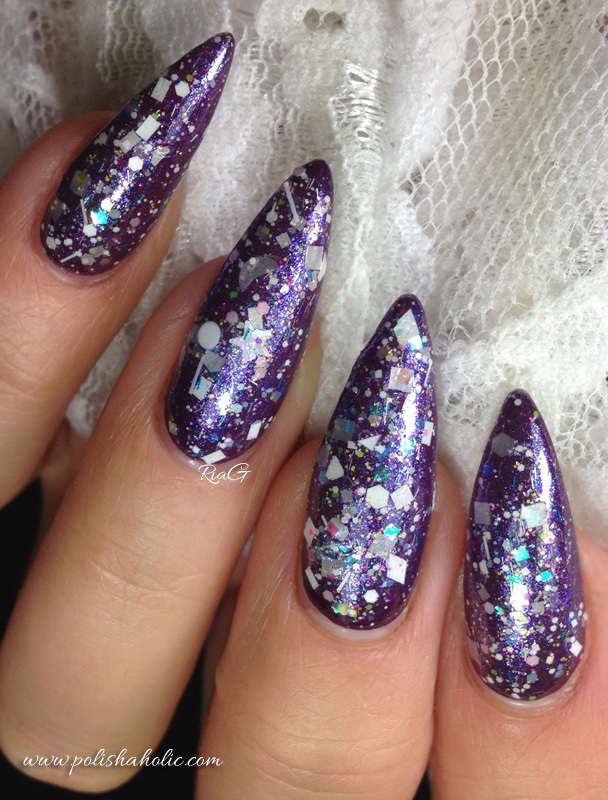 The application was easy and smooth, no need for Glitter Food. 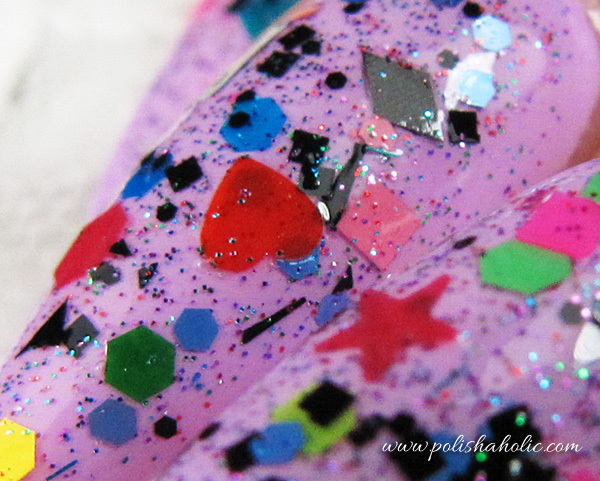 This is one of those glitter toppers that can be layered over any color. 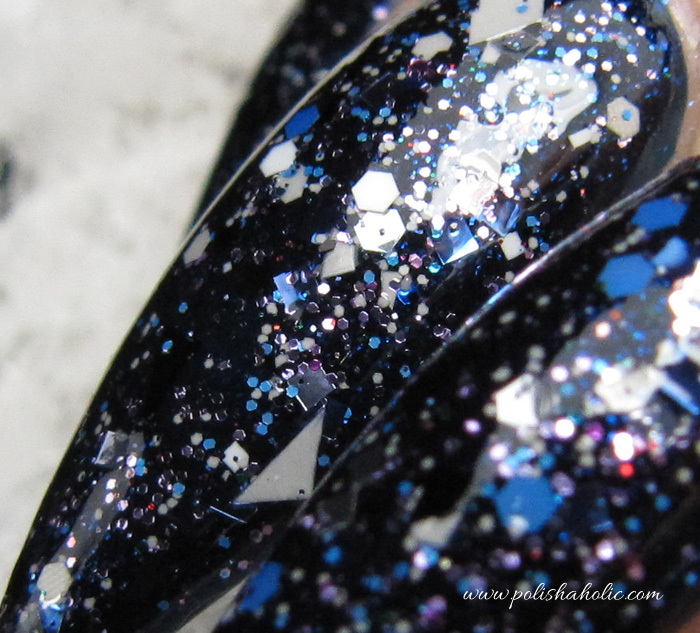 White base looks icy and dark base brings out all the beauty in this polish. ***Tidy Whities and IsaDora Purple Reign were sent for review, other products purchased by me. I do not benefit from clicking the links on this post or use of the discount code. Happy Sunday! I hope everyone is having a lovely and relaxing weekend. 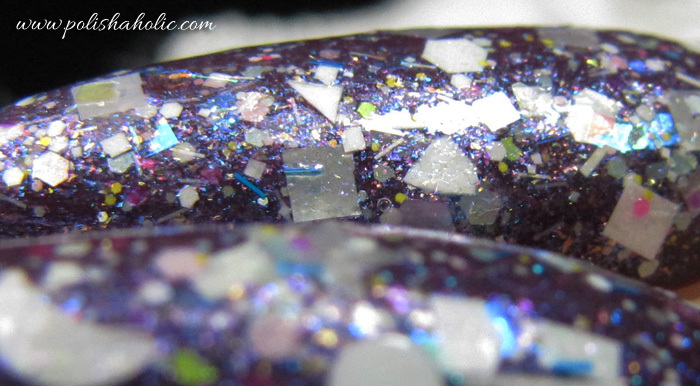 This is another gorgeous Lynnderella polish from the new “Once Upon a Prince and More Man Candy” collection. 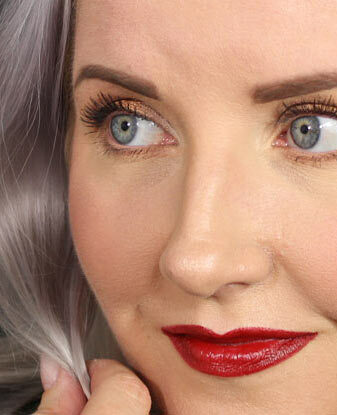 Here’s how Lynnderella desccribes this shade: “Oh Eric…! is a love letter to Sheriff Northman—of Area 5 in Louisiana. 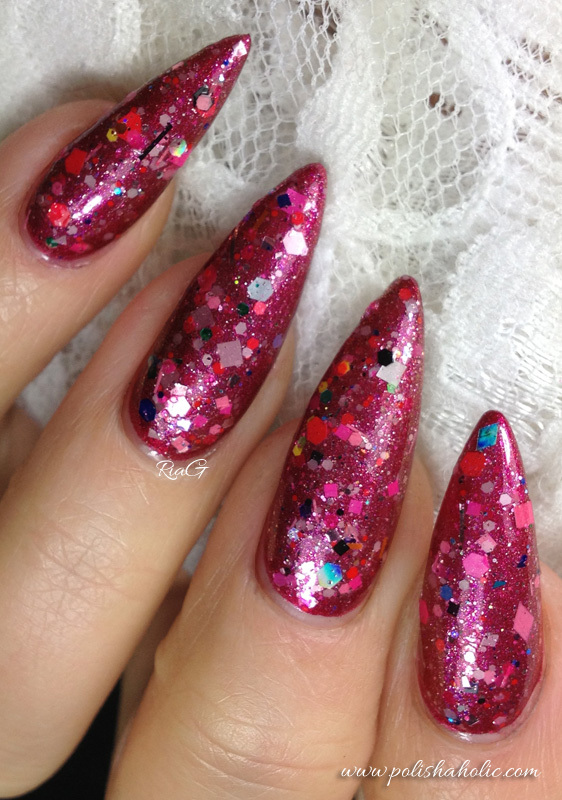 Red metallic with neon pink, purple and red glitters in a pink-shimmered translucent red base”. This one is absolutely gorgeous! I wanted to maintain the passionate look this has so I layered it over red. 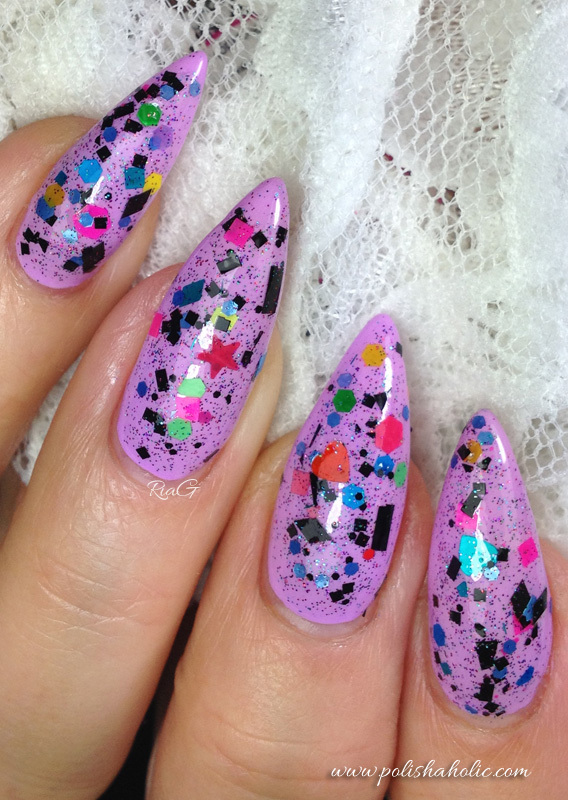 You can achieve a cuter look by using a lighter pink base color and dark purple turns this into a bit more dramatic looking. 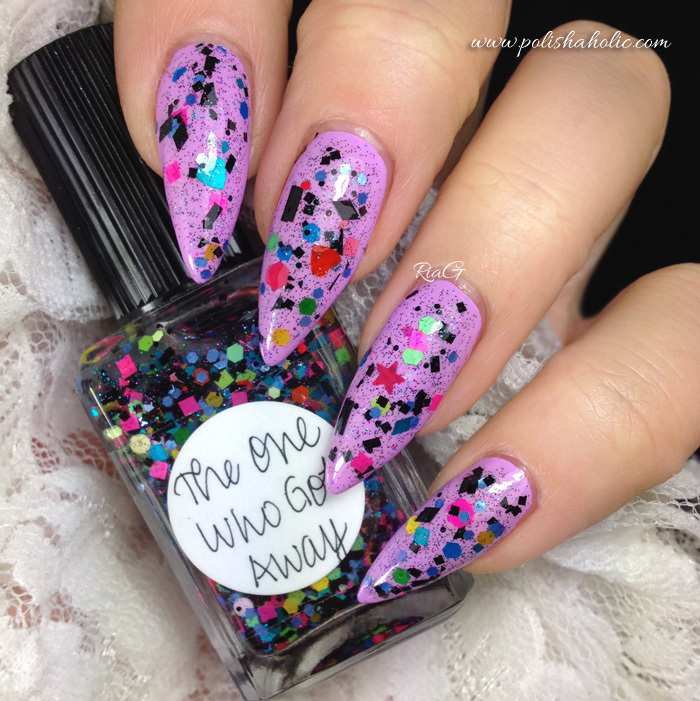 This is two coats of OPI Innie Minnie Mightie Bow, two coats of Oh Eric…!, a thin coat of Glitter Food and G & G HK Girl top coat. ***Oh Eric…! was sent for review, other products purchased by me. I do not benefit from clicking the links on this post or use of the discount code. Here’s more Lynnderella for you from the new “Once Upon a Prince and More Man Candy” collection. 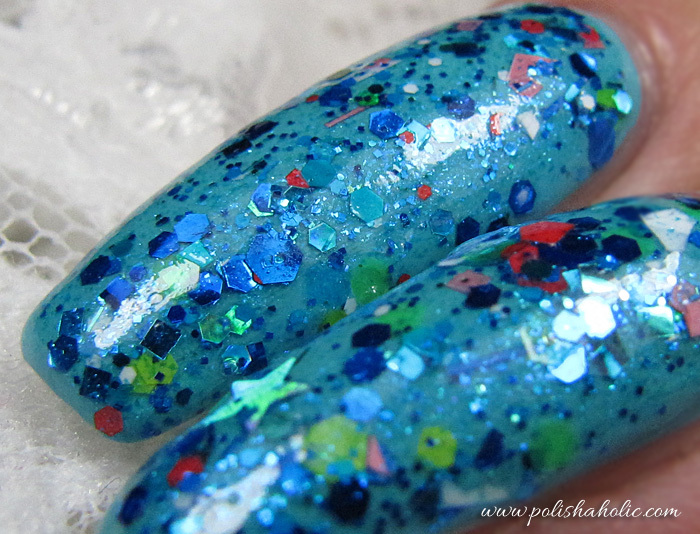 This is AquaMan Candy, a stunning mix of glitter on a sheer base. 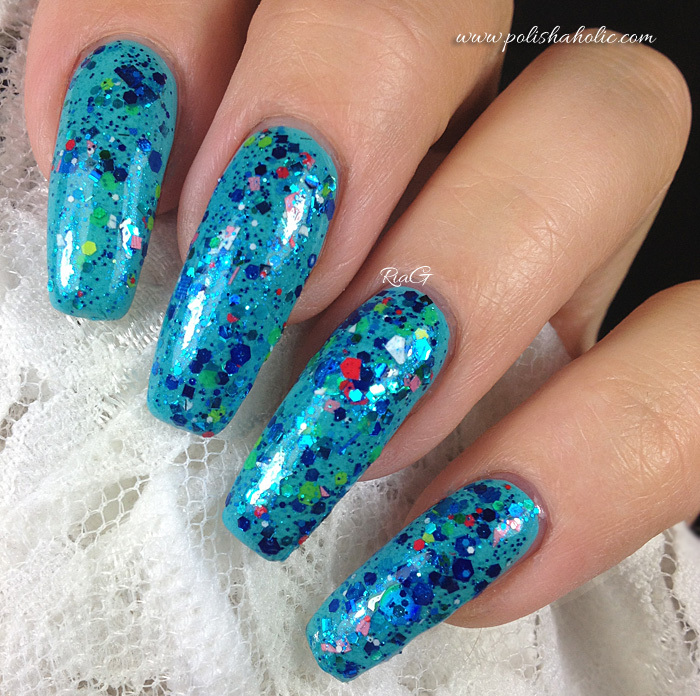 Here’s how Lynnderella describes this polish “AquaMan Candy is made with a cyan-shimmered cyan base saturated with cyan glitters with red, pink, white and green accents. 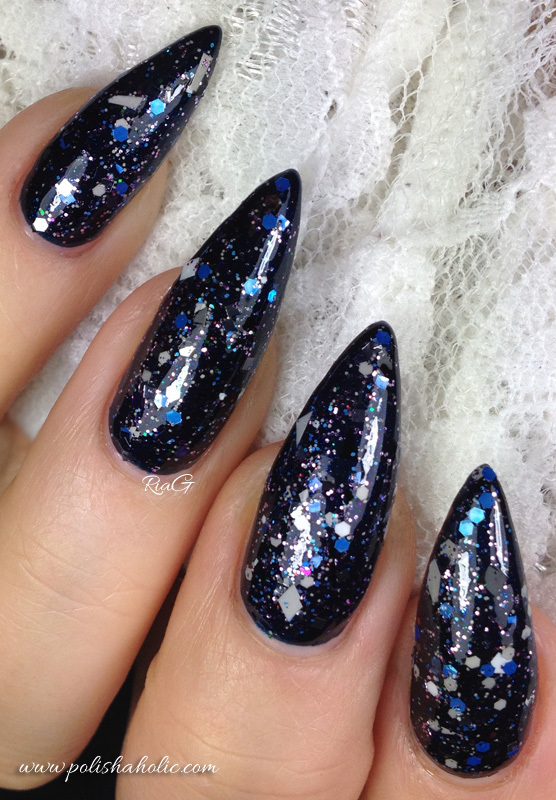 Perfect for mermaids and mermen”. This is two coats of Essie In The Cab-Ana, two coats of AquaMan Candy, a thin coat of Glitter Food and G & G HK Girl top coat. AquaMan Candy applies perfectly. 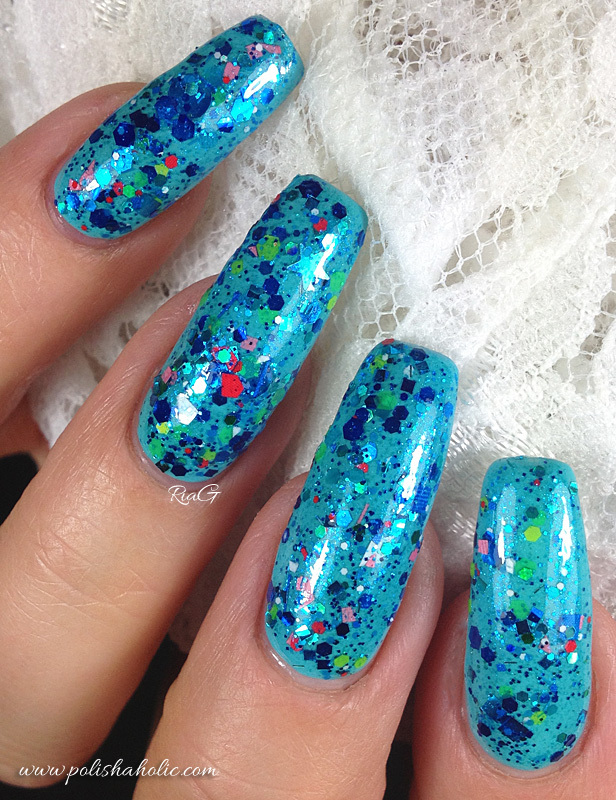 This is very packed with glitter so no fishing needed. There was also no need to place the glitter or even dab. I love the color combination on this one! Very unique and beautiful! ***AquaMan Candy was sent for review, other products purchased by me. I do not benefit from clicking the links on this post or use of the discount code. Today I have a real treat for you! 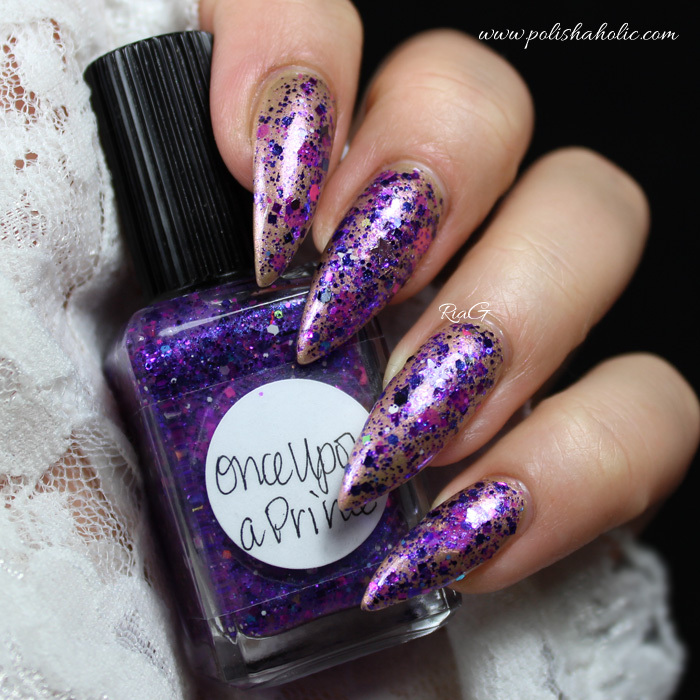 Lynnderella recently released a new collection “Once Upon a Prince and More Man Candy” and I’ll be showing you the whole awesome collection one by one! I’ll start with The Full Minty “satin mint and white glitters accented with several shades of green—all in an intensely sparkling mint-shimmered base“. This is two coats of China Glaze Keep Calm, Paint On, two coats of The Full Minty, thin coat of Glitter Food and G & G HK Girl top coat. The Full Minty applies perfectly. 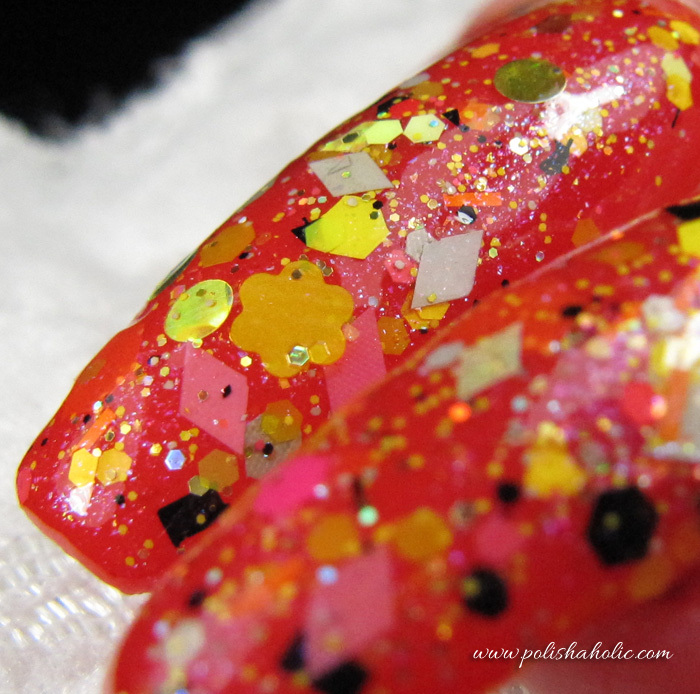 No need to fish or place the glitters. One coat was already even enough but my glitter addiction forced me to add another one ;) The mint shimmer on the base is absolutely gorgeous. Even though this collection is a summer release, The Full Minty is a perfect color for winter too! ***The Full Minty was sent for review, other products purchased by me. I do not benefit from clicking the links on this post or use of the discount code.